For generations this has proved to be a favourite dish served on New Year's Eve. Peel and dice carrots, parsley roots and celeriac and place into a large pot with the whole onion and the sauerkraut. Cover with about 2 l water and boil 30 minutes. 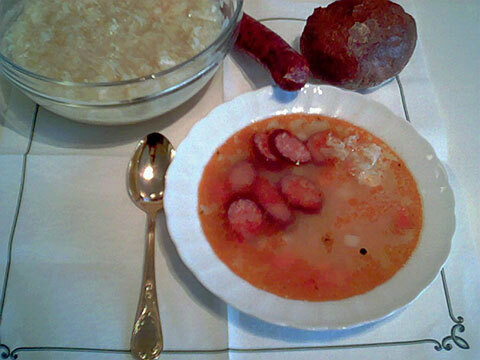 Add the sliced bratwurst, pepper and 1 l vegetable or meat stock and boil another 15 minutes. For a heartier flavour, a piece of smoked ham may be added. The rice can be cooked separately in salted water and added to the soup (or it can be boiled in the soup, but keep in mind that rice absorbs a lot of water in cooking). 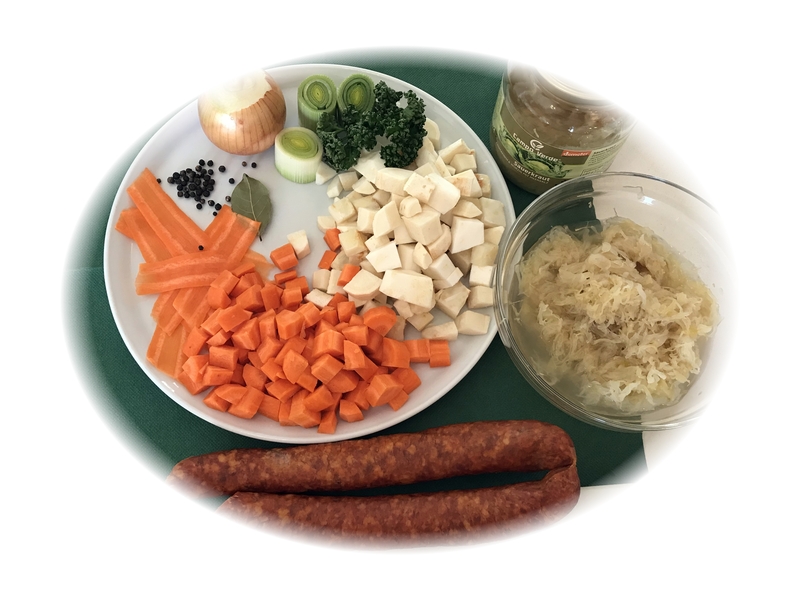 Seasoning with salt - if necessary - should be left till the end, considering that the cabbage, sausage and ham contain salt. Serve hot with sour cream and fresh bread.